Sadhana is a routine spiritual practice. 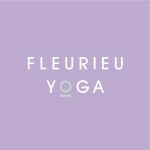 I will be leading a Sunday Sadhana weekly at Fleurieu Yoga to provide a place for people to gather in community to explore spiritual connection, to find out together what it means to each of us individually. Relationship to God, or Source, is something many of us don't have a space to cultivate because the confines of religion feel too restrictive. I support people to reconnect with their Higher Self and ultimately to a Loving Source (aka God) through non-dogmatic practical practices like breathing, movement and contemplation. This is a space of respect for diverse backgrounds and perspectives, a space of inclusion, and a space all are welcome to practice within community. Our Sadhana will include breathing practice, yoga postures, meditation, chanting, prayer and contemplation. This Sadhana is a part of my 8 Limbs Journey: The Yamas and Niyamas, where we will study the philosophies of the yoga practice which lead to more personal freedoms. For example if during one month we are focusing on COMPASSION as a spiritual practice, the whole month of Sadhana will focus on compassion so that the concept can be fully integrated into Being. You are invited along to the full course but it is not a requirement for this Sadhana. All are welcome. I hope to see you there. *Please note: For this class, you will need to pay Shawna directly- not included in your Fleurieu Yoga Class Pass.